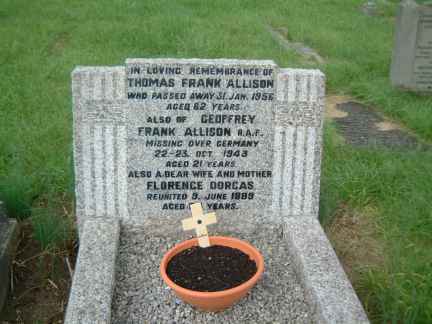 Son of Thomas Frank and Florence Doris Allison, of Chippenham, Wiltshire. Took off at 1800 from Wickenby for a bombing mission to Kassel. Crashed near Bielefeld where on 27 October all were buried. Their graves are now in Rheinberg War Cemetery. The average age of the crew was 20. 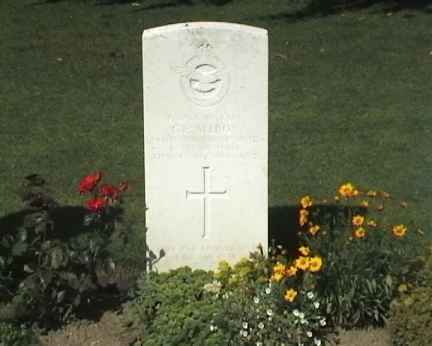 Sgt Hood at 22 was the eldest.